China and Africa: 21st century colonialism or a mutually-beneficial partnership? 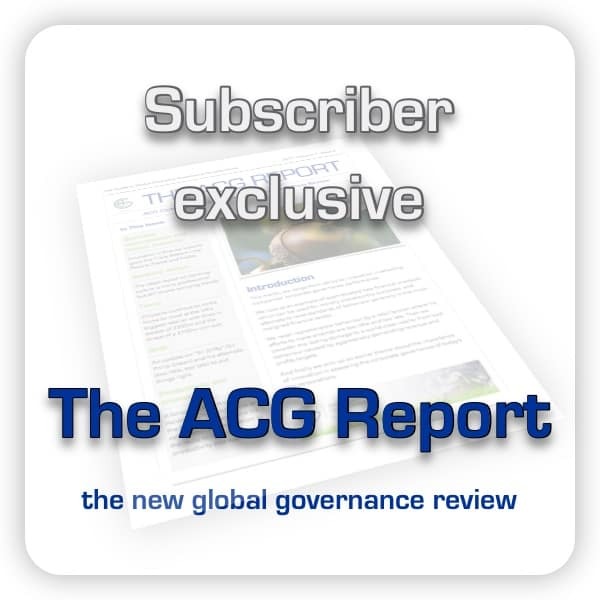 Africa Natural Resources – the ACG Transparency Campaign: launching a new campaign to lobby world business and political leaders and inform the public. 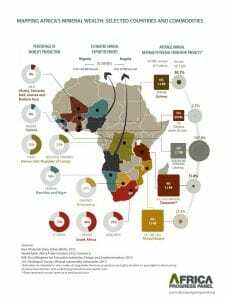 On 10th May, the 2013 Africa Progress Report was published. Much of the media coverage focussed on the warning of continuing problems of transparency and underpricing in asset tenders given by Kofi Annan, former UN Secretary General, Nobel Laureat and Chair of the Africa Progress Panel, which produced the report. But he also expressed guarded optimism that all the elements are present to break the curse and change the course of history in this resource-rich but currently inequitable region. 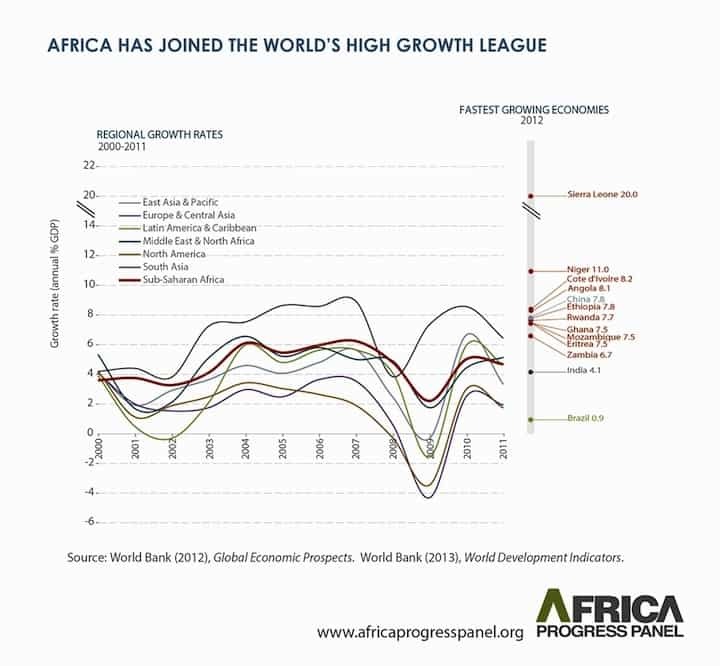 Growth in Africa over the last decade has finally brought the continent into the league of high performers, as the graph to the right shows (click for a larger image). With GDP in some countries beating even China’s rate of growth, this must give some hope that if well managed, Africa’s natural resources can finally deliver on their promise to its people. At a time when developed Western economies are in recession or at best minimal growth, aid budgets have come under attack. Addressing governance in the way companies exploit Africa’s natural resources would surely be a positive way to reduce the continents reliance on aid while improving the performance and reputation of mining companies and reducing tax evasion. Mining companies and intermediaries (who have made vast fortunes on-selling mining rights) are coming under fire increasingly for the way contracts are negotiated and mines themselves are run. The biggest criticism is still the lack of transparency in the negotiation of rights and frequent discrepancy between reported payments made by companies and monies received by governments. Clearly both sides are responsible for ensuring that these figures match and currently in some countries there is still much secrecy in how these deals are made and the sums involved. Furthermore, most of the asset purchases are made by off-shore companies. While it is clear that foreign investment is required to exploit natural resources, often the first step is to sell to an off-shore intermediary. In fact, often the intermediary has already lined up or even sold the assets before actually owning them. You could argue that is the skill of the intermediary, and the reason they are hired. Dan Gertler is one such intermediary. The billionaire was involved in one of the most extreme examples of alleged asset undervaluation recorded, in the Democratic Republic of the Congo (DRC), engineering the sale of 50% of a local copper mine for a total of $75m, paying just $15m in a transaction that went back-to-back with the sale to London listed Kazakh miner ENRC. But the circumstances and timetable of events show at best a lack of sensitivity and social responsibility for the impact on one of the poorest nations on earth. Another issue is that many of the transactions involving mining rights and operations are between off-shore companies (after the original interests are sold by state-owned companies), meaning tax revenues stay outside the county – if taxes are paid at all. The report estimates that in total, between 2010 and 2012 the DRC alone lost at least $1.36bn in revenues from the underpricing of assets sold to off-shore companies. When you combine the effects of opaque dealings, sales of local assets between offshore companies with the resulting loss of tax revenue, and undervaluation of assets in the first place, you begin to realise the colossal differential between revenue potential of local assets and actual income received. This is before the income is (inequitably) distributed among the population. The report contains many detailed data on the impact of the growth in earnings from Africa’s natural resources, including average income, consumption and the UN’s Human Development Index (HDI), a composite measure of wealth, life expectancy and education. While GDP and average income has grown in all but two of the IMF’s list of 20 “resource-rich” countries, the HDI ranking of these countries has remained flat and in some case even fallen. Democratic Republic of the Congo, one of the richest in Africa’s natural resources, is in last place in the UN’s world HDI ranking. While overall, the statistics make for sobering reading, there are sufficient examples of positive impact to disprove the “resource curse” theory that there is automatically a widening of the gap between rich and poor and natural resources will never have the power to lift people out of poverty. 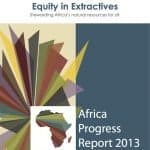 Let’s look at a few statistics that show how relatively little, in percentage terms, could do so much with a little concerted efforts by national governments in Africa, mining and oil companies and global organisations like the G8, the IMF and World Bank, the World Economic Forum or industry groups such as the Extractive Industries Transparency Initiative. U nesco also believes the resource curse is escapable if resources are invested in future generations. In its 2012 Education for All Global Monitoring Report, it says that Africa’s Natural Resources, “if turned into government revenue and utilized efficiently, could help many countries reach the EFA goals”. To put that figure into perspective, that $5bn is two-and-a-half times what those countries receive in aid. If that doesn’t give cause for hope and renewed efforts to maximise the benefit Africa’s natural resources can bring to its people, I don’t know what will! In the next articles I will be looking in more detail at some individual countries, including DRC, Angola, Botswana, Nigeria and Ghana to assess the governance challenges and opportunities to improve the lives of millions from equitable distribution of the revenues from Africa’s natural resources. With China such a major player in Africa as it seeks raw materials for its continued growth, no series on Africa’s natural resources would be complete without a look at the question of China’s influence and its own governance in the region. To help ensure transparency, accountability and responsibility in this sector, I will also suggest ways in which our Applied Corporate Governance methodology, based on independent research, could be applied to the management of the extractive industries. I will also be looking at an excellent new initiative from a small Dutch team who have taken the principles of Fair Trade and are trying their best to apply it to the hugely complex world of smartphone production. Since so much of the world’s technology relies on minerals such as cobalt (53% of the world’s supply of which comes from DRC), it is good to see someone trying to open up the supply chain to scrutiny and ensure a fair deal with minimum working conditions. 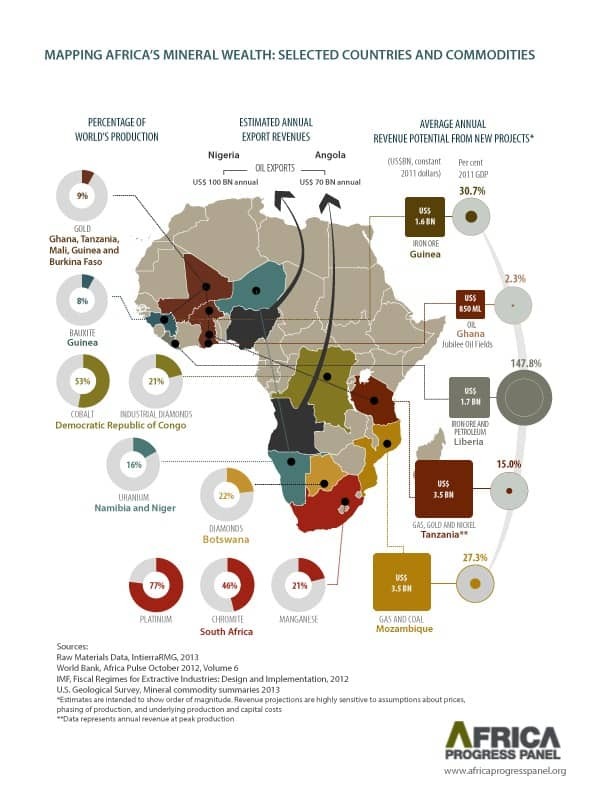 Incidentally here’s a larger version of the Africa Natural Resources Map shown above. Today I am also launching a campaign to call on leaders of the G8 group of the wealthiest countries in the world to do their part to ensure good governance of their mining companies. I hope to help generate awareness of the opportunities – and our collective responsibility – for Africa, and indeed all resource-rich countries, to lift themselves out of poverty. By focussing on poverty, we simply see more poverty. If we focus on the real, tangible opportunities I have begun to describe here, while recognising the size and difficulty of the task, I believe we can achieve real change. First we have to believe it is possible. This means raising our collective awareness, eliminating limiting beliefs and negative thinking and working together for the benefit of all people and the planet. To support our campaign please click here to sign the petition, which will be sent to G8 leaders next month, and spread the word to all your friends, family and contacts around the world. Together we really can make a difference!